Yesterday was a beautiful spring day… Or perhaps a day better suited to late fall. 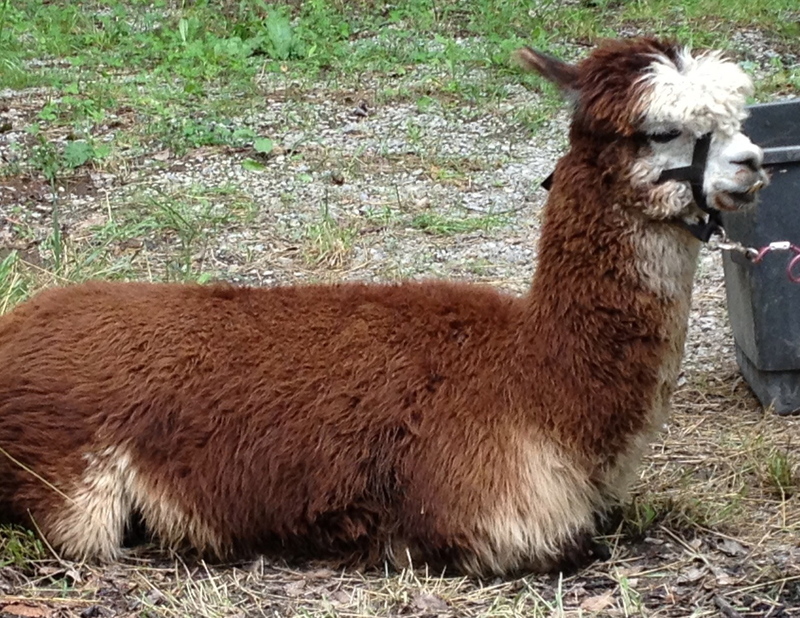 Of course, it was the end of July, but who’s quibbling? 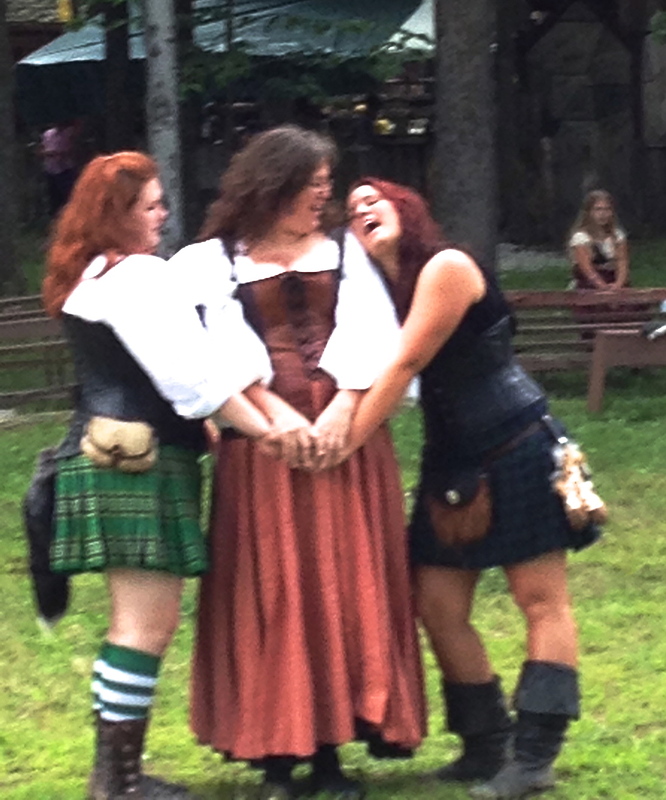 Either way, it was a great day to head to the renaissance faire! The one around here isn’t one of the biggest; you have to head to the other end of the state for that, but it is set in a lovely wooded area, so that even the hottest of summer days aren’t bad, and a day like yesterday, with its patchy clouds, is near to heaven. 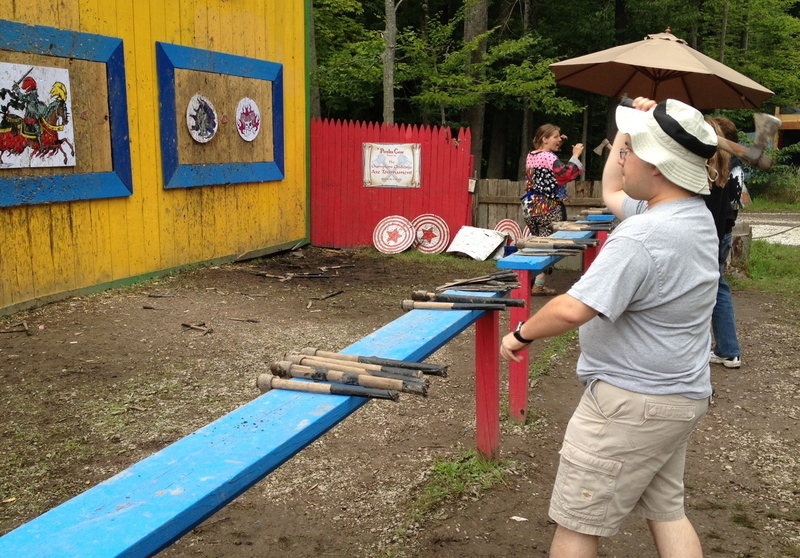 This year, there was no jousting. 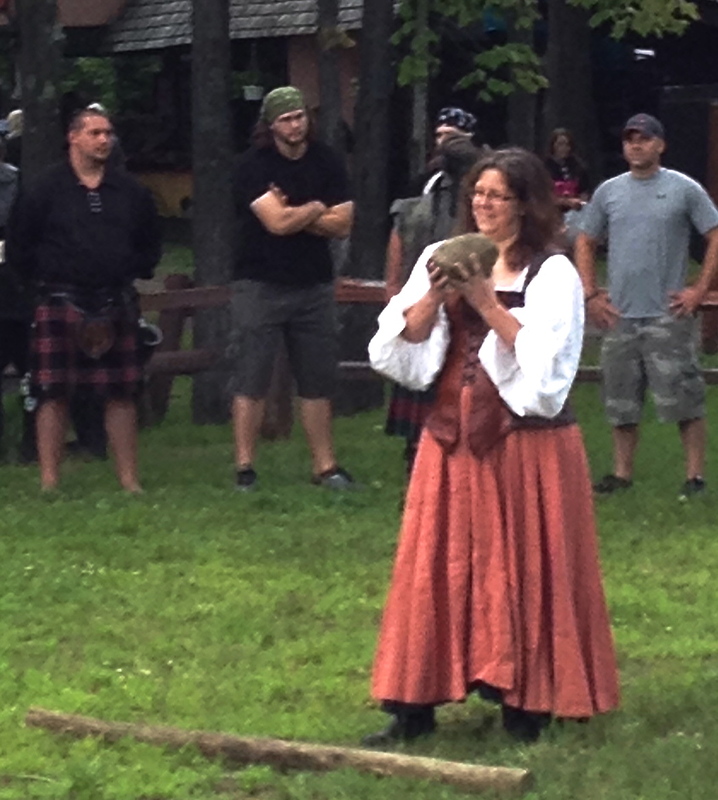 Instead, on the jousting field, they had Highland Games, requiring audience participation! Of course, they get guys by the boatload down on the field, but few of the girls want to play. I wonder why… Who doesn’t want to toss a rock and a caber around?!? Well, I was one of 4 girls who volunteered. We really did use a 16-pound rock. 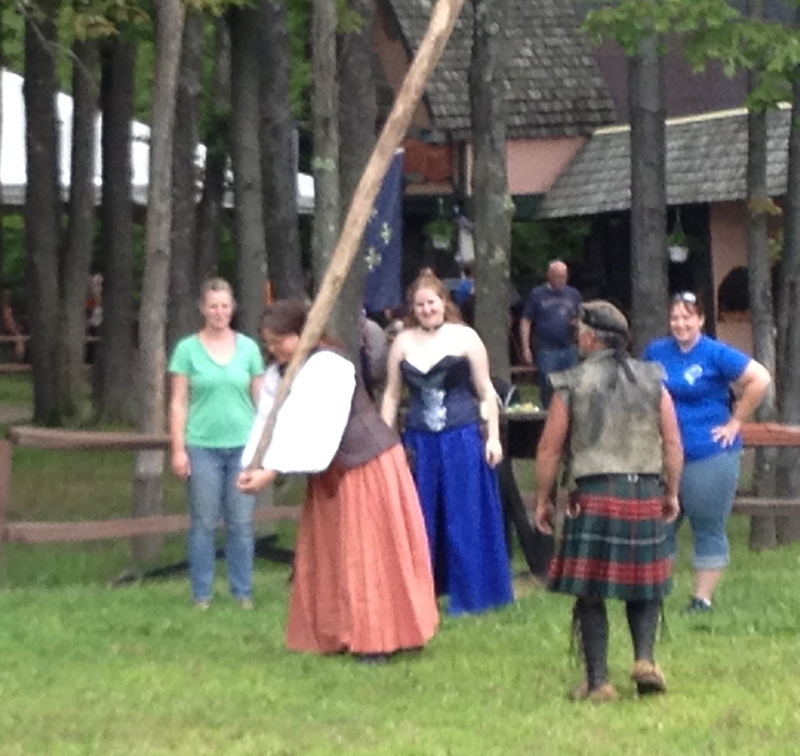 We did, however, use the “ladies’ caber”. Quite a bit lighter and shorter than a standard one. Still amazingly fun to toss, though! And I did manage to turn it properly and land it just at 12 o’clock. But he got his turn later. He found sharp pointy things to throw. P.S. We found a new friend for a friend. She had kind eyes. Missed you guys at the NEBS this year. Hoping so, Doubletrouble! We missed y’all, too, but both of us were working this weekend. I’ve seen the pic of Elmo, though. Looks like we missed a great time!